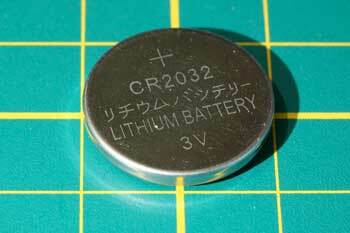 (Nanowerk News) Lithium ion batteries have come a long way since their introduction in the late 1990s. They're used in many everyday devices, such as laptop computers, mobile phones, and medical devices, as well as automotive and aerospace platforms, and others. However, lithium ion battery performance still can decay over time, may not fully charge after many charge/discharge cycles, and may discharge quickly even when idle. Researchers at the University of Illinois applied a technique using 3D X-ray tomography of an electrode to better understand what is happening on the inside of a lithium ion battery and ultimately build batteries with more storage capacity and longer life (Experimental Mechanics, "Three-Dimensional Study of Graphite-Composite Electrode Chemo-Mechanical Response using Digital Volume Correlation"). "If we can determine how the graphite particles fail in the interior of the electrode, we may be able to suppress these problems and learn how to extend the life of the battery. So we wanted to see in a working anode how the graphite particles expand when the lithium enters them. You can certainly let the process happen and then measure how much the electrode grows to see the global strain--but with the X-rays we can look inside the electrode and get internal local measurements of expansion as lithiation progresses." The team first custom built a rechargeable lithium cell that was transparent to X-rays. However, when they made the functioning electrode, in addition to graphite particles, they added another ingredient to the recipe--zirconia particles. Lambros said internal changes in the volume are measured using a Digital Volume Correlation routine--an algorithm in a computer code that is used to compare the X-ray images before and after lithiation.